–Engineers make a world of difference. –Engineers help shape the future. 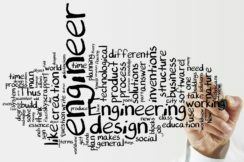 –Engineering is essential to our health, happiness, and safety. A visit to the free Smithsonian’s National Zoological Park in Washington DC is always worth it, even if the weather might be inclement. I captured a few of my favorite animals who just happened to be quite active today! On this episode we talked everything molecules: organic and inorganic chemistry, honey & high-fructose corn syrup, pigments, sodium ducks, and knitted sheep butts. Our guests were Theodore Gray, author, and Nick Mann, photographer, of the beautiful, informative, and entertaining book “Molecules : The Elements and the Architecture of Everything”. This article first appeared in Scientific American in October 2014. 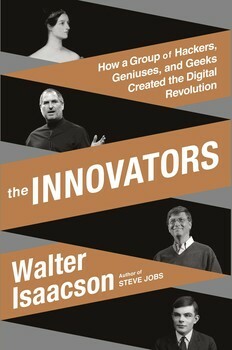 This week, the new Walter Isaacson book, The Innovators: How a Group of Hackers, Geniuses, and Geeks Created the Digital Revolution has been released. I am a fan of his writing, having enjoyed many of his books, and not surprisingly enthusiastically consumed Einstein: His Life and Universe (2007) and Steve Jobs (2011). A trend I am heartily behind is that of publishers creating book trailers. Simon and Schuster have generously created five videos for Isaacson’s new book. I wanted to ensure you could see all of them, so here they are! I haven’t yet read this book yet, but given the high quality of his past books, I expect it will be of the same caliber and I encourage you to get your own copy right away! Here in North America, we are in the midst of a tetrad of lunar eclipses, the second one visible Wednesday morning. A tetrad of lunar eclipses means that there are four total lunar eclipses in a row. This NASA video above explains it well. For this episode, we not only Read Science, we Make Science! Our guest was Liz Heinecke, the Kitchen Pantry Scientist and author of “Kitchen Science Lab for Kids”. We talked about engaging kids and their parents with science through hands-on science fun in the kitchen–and outdoors, for the messier experiments. Last summer, I attended a new media professionals workshop at the Laboratory of Atmospheric and Space Physics (LASP) in Colorado to learn more about the Mars Atmosphere and Volatile Evolution (MAVEN) mission which launched last November. This orbiter is specially equipped to discover “What happened to the atmosphere of Mars?” The answers can begin to be answered once the MAVEN maneuvers into Mars orbit tonight. Today we had a lively discussion with Lynn Sherr about her outstanding biography, “Sally Ride : America’s First Woman in Space”. We talked quite a bit about the sexist barriers that Sally (and Lynn Sherr, herself) help to break down in the early 1980s, listened to stories, and tried to understand what a different time it was when Sally joined NASA in 1978, and what a different place the USA was back then. This article originally appeared at ravishly.com on July 17, 2014, who asked me to contribute. So many articles about women in STEM are quite long because the issues faced are complex and multifactorial, so I took a unique approach be encapsulating the topic in 11 variations on the STEM acronym. “STEM” usually stands for Science, Technology, Engineering and Math—but sometimes it represents several roadblocks to those fields. Here are some alternate STEM acronyms preventing women from finding success in science and technology.